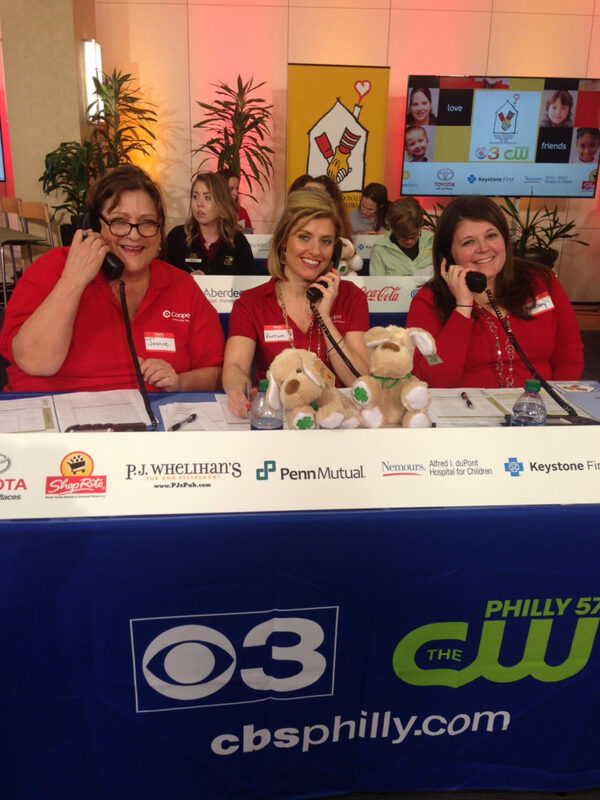 Joanne Fox, Autum Shingler-Nace, and Brittany Spaeth from Children’s Regional Hospital at Cooper taking calls for “Change the Luck of a Child” at CBS 3 Studio to raise funds for Ronald McDonald House Charities. Michael Goodman, MD, Chief of Pediatrics at the Children’s Regional Hospital at Cooper, is joined by (left to right) past Ronald McDonald House visitors Lorelei and Chelle McIntyre-Brewer; Robyn Harvey, RN, BSN, MBA, Executive Director of The Women’s and Children’s Institute and The Children’s Regional Hospital at Cooper; CBS3 Reporter Nicole Brewer; and Teddy Thomas, President, Ronald McDonald House of Southern New Jersey. “Ronald McDonald House Offers Sanctuary for Parents of Hospitalized Children” via SNJ Today. 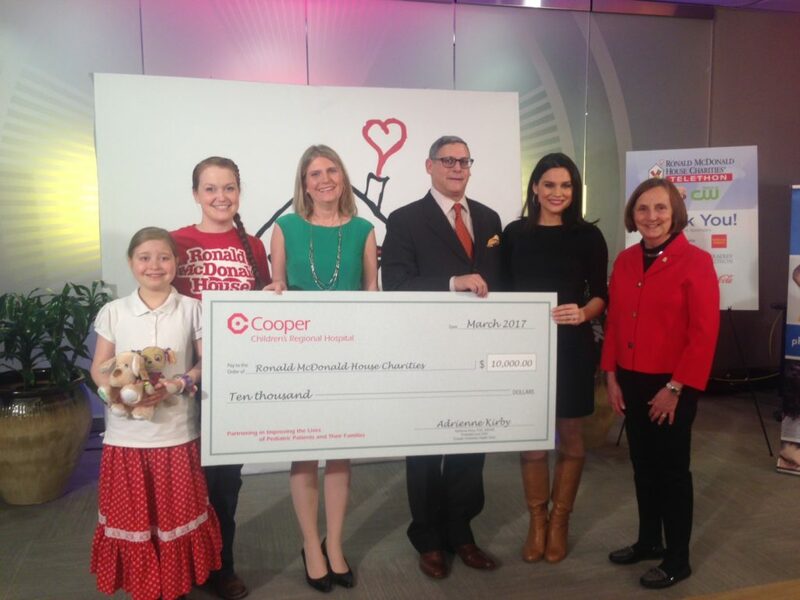 “Ronald McDonald House of Southern New Jersey” information from the Cooper website. “Child Life Services” information about our dedicated team of specialists helping families and children experiencing challenging illnesses or accidents requiring hospitalizations.